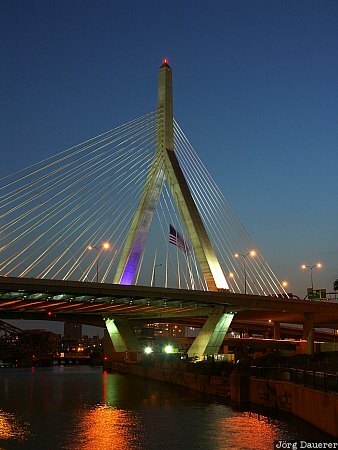 The flood-lit north pillar of Zakim Bridge crossing Charles River in Boston at the blue hour after sunset. Boston is in the east of Massachusetts on the east coast of the United States. The photo was taken in the evening of a hot day in July of 2005. This photo was taken with a digital camera.